Have you ever smoked a moon rock? Then you don’t know what you’re missing. A little bit of kief, a bit of hash, and all of it dipped in hash oil. It’s amazing, tasty and wonderful, all at the same time. Be careful with them, though! With a massive 60-80% THC packed in these little rocks, you only need a little to fly. Moon rocks are rare and special, so handle them with care. Keep reading if you want to learn how to smoke moon rocks. The first time you heard the name, you probably thought of rocks from the Moon, right? And you won’t be far from the truth. But once you smoke them, you’ll be on a flight to the Moon! No kidding, this stuff is potent. Moon Rocks first saw the limelight when Kurupt launched his very own stuff known as Kurupt’s Moonrock in 2015. Kurupt soaked some Girl Scout Cookies in hash oil. Then he rolled the buds in Kief, and... BAM! They are packed with so much THC that it’ll take a while for you to get your bearings. The bad news is that it’s expensive, but the good news is that you can make them yourself! Moon Rocks are often referred to as Caviar. However, there is a difference between the two. Although caviar is dipped in hash oil, it’s sometimes not coated with kief. Some dispensaries will also sell caviar that’s saturated with oil and coated with kief. But, if the caviar is coated with kief, there’s no difference between a Moon Rock and Caviar. To put it simply, Moon Rocks are always coated with kief and oil and caviars are available without kief at times. Moon Rocks are a tad different than your regular buds. 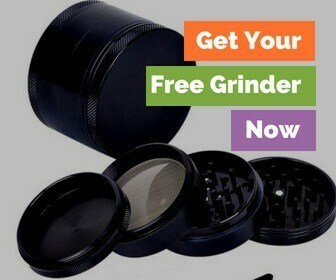 You can’t just grind them in your trusty grinder to pack them in your bowl. Not only will you clog your grinder, but you’ll also waste all that quality stuff. Instead, you use a sharp knife to cut the buds into smaller parts carefully. You could also use your fingers to break them apart. The buds will be sticky and gooey, thanks to all that kief and hash oil, but how do you smoke them? Moon Rocks are sticky, so you can’t just roll them into a joint. Moreover, you might not have as much stuff to make a huge joint, so stick to pipes and bongs. It takes a bit of effort to keep them lit because of all that stickiness. You can break the buds and smoke them directly, but the stuff might be wasted if you constantly have to light them up. Therefore, the best option is to mix them with a few dried buds and then pack a bowl. Make sure you use high-quality glassware as you’ll have to move the bud around when you smoke it. People usually prefer bubblers, but you can also try using bongs and pipes. You don’t have to buy anything extra special, but since it struggles to be lit, use a good lighter! Handle your Moon Rock with care and place them on a hard surface so that the kief isn’t wasted. Don’t stuff the bowl too much or you’ll have to light it repeatedly. Since the stuff is sticky, it can sometimes clog pipes. The trick is to tilt the pipe or bong slightly downwards. This will prevent the oil from trickling into the mouthpiece and clogging it. Moon Rocks need to be broken into smaller chunks before you light them. Many people use their bare hands to break them up. But, don’t get carried away. It’s nice to get your hands smelling like some dank Girl Scout Cookies, but it’s not ideal. Grab a sharp knife or blade instead to cut the bud into smaller bits. If using a bowl, mix small chunks of Moon Rock with some regular bud and light it. Move the buds around with a metal tool to ensure that it’s lit as you take a deep hit. Sure, you'll probably get higher, but isn't that why you're trying a Moon Rock? No matter what you do, avoid using your grinder to break the buds. I get that it’s easy and quick, but the hash oil will clog everything. You’ll also waste a good amount of kief if you use the grinder. Moon Rocks don’t fare well when rolled into joints because they are very sticky. The same rule applies to blunts—you'll end up with a mess. But, you can use a blade to cut the bud into very small pieces. Then, mix it with regular buds so you can roll them into a joint. It’s a bit tricky to keep them lit because of all that stickiness, but if you can’t resist rolling a joint, go for it. How Does it Feel to Smoke Moon Rocks? Smoking Moon Rocks is an amazing experience. You probably think that it's just like a dab. But no, they are different. 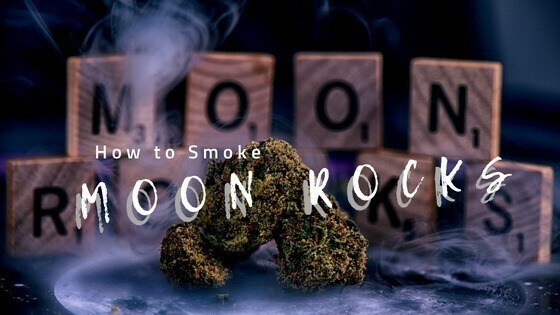 While dabs produce a euphoric high, Moon Rocks give you a fully-body high. The aroma of the terpenes is something you have to experience at least once. It's different from regular buds where even the high and fragrance is different. The high is powerful and rich. It begins with your head until it spreads everywhere slowly, making even your toes tingle. The effect will be slow but sure. It'll also last a little bit longer than regular flower. Since you’re smoking buds, hash oil and kief all together, you’ll perhaps expect a quick reaction. However, it takes a while for Moon Rocks to start its magic. You may not feel anything much for the next few minutes but wait for at least thirty minutes to pass. It’s recommended that you smoke them only after you’re done with work and about to relax. Remember, a little goes a long way, so try small amounts before you over do it. It's expensive, yes, but it’s worth it. But, if you’re on a tight budget, remember, you can make them yourself! How to Make Your Own Moon Rocks? Moon Rocks are made using Girl Scout Cookies, but you can use any strain in theory. Almost all dispensaries sell Moon Rocks that are either made with flowers or concentrates. The history is a bit hazy but it supposedly all began when Kurupt soaked his GSC in hash oil and sold them to his customers. Girl Scout Cookies are excellent, and a strong euphoric Sativa high is desirable. However, there’s no reason to stick to GSC alone. Other strains can pack a punch. And you can also use any favorite strain of yours that’s guaranteed to do its trick. So, don’t worry if you can’t get a hold of GSC because other strains work too. High-quality bud – any strain will do. Metal tool to move buds while you smoke. Girl Scout Cookies are best suited for Moon Rocks. But if you don’t have them, just proceed with any strain. The denser the nug, the better the outcome, so make sure you have dense buds. Take your concentrate and use a dropper to coat your buds with oil. Making Moon Rocks is like mixing a cocktail. It’s important to balance the ingredients. Don’t soak the bud completely. Or it’ll stay damp and won’t dry. A drop or two of hash oil should be enough to coat a small chunk of the nug. Once it’s nicely coated and glistening with oil, use the tongs to hold the bud. Don’t use your hands or you’ll waste the oil! Coat the bud with kief until your favorite bud is completely covered. That’s it, and you’re done! You can't smoke it immediately because the oil needs to seep through. Let the bud sit and wait for it to dry. After a few hours, check if the nug is dry. If it’s too sticky, let it dry some more. If it’s perfectly dry, then use a sharp knife to cut it into several smaller chunks. Mix it with some more bud and pack a bowl or roll a blunt or a joint. Moon Rocks are pretty amazing, and since you can make your own, it's certainly worth a try. Go easy, though, because you could get knocked out! But if you want to sleep like a baby and forget all your troubles, Moon Rocks will ensure that your trip to the Moon is something you’ll never forget! Most dispensaries are going to be able to sell you moon rocks. If you don't have a dispensary near you, then you can just make them yourself. Let it dry, then smoke it! Just remember, this a not something meant for beginner, but rather, some one who can handle high levels of THC. So how do you smoke moon rocks?